All spoke well of Him and were amazed at the gracious words that came from His lips. Never has a man spoken the way this Man speaks. 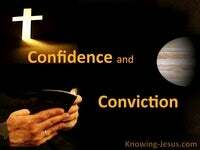 There have been many religious leaders, but none have been like Christ Jesus. There have been many teachers and preachers, but none compare with the Lord. 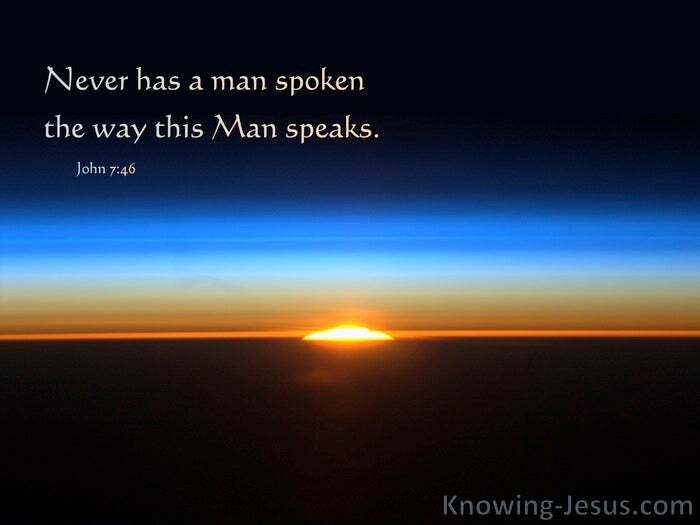 There have been many men that have had many disciples, but none are like Jesus, There have been many great orators, but no man has spoken the way Jesus spoke. There have been many characters through history – many kings and many carpenters. There have been speakers; pioneers; healers and heroes, but Christ is incomparable. Jesus Christ is the unique Son of God and Son of Man. He is chief among ten thousand. He is altogether beautiful. All spoke well of Him, and wondered about the gracious words which fell from His lips. 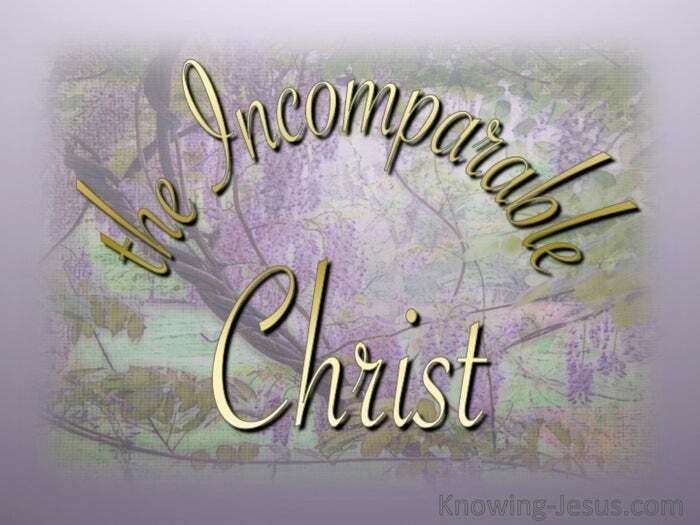 No man in the history of the universe can ever compare with this matchless Man, He is the incomparable Christ : the unparalleled Person : the singular, unique Man. The words from His mouth were words of wisdom – for no one spoke like Jesus spoke. Other great orators often modify what they say – or they speak out of turn. Others re-examine their thinking or re-evaluate the philosophies they cherish – but He alone spoke pure words that flowed from the heart of the Father – to Him. He lived a sinless life and so there was no requirement for Him to confess His sins. His words were always seasoned with salt and His actions were full of gracious truth. He walked a path of righteousness. He lived the only sinless life in a world of sinners. He lived each day of His life in submission to the leading and guiding of the Holy Spirit. His life was a lovely example to the only way a man can live a life that’s pleasing to God. And though fully God and fully human in His singular body – He laid aside His glory, and took upon Himself the form of a servant and humbled Himself – to die on a cross. No one but Jesus could have taken the sin of the world upon His manly shoulders. There’ve been many religious leaders, but all died and their body remains in a grave. There are good teachers who teach God’s word, but only He is the Word of Life. There have been many men who have influenced many people, but the Lord Jesus is unique in the kingdom on men for He alone lived a sinless life – a life pleasing to God – only He could claim I am the Way – no man comes to the Father but through Me. There’ve been many characters throughout history – many kings; many carpenters. There’ve been many speakers in history – many pioneers; many healers; many heroes.. but Jesus Christ stands alone – for He is the incomparable Christ. Jesus Christ is the unique Son of God and unique Son of Man. Jesus Christ is the chief among ten thousand, and altogether lovely. 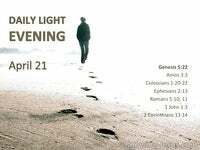 He walked a path of righteousness – He lived the only sinless life in a world of sinners. He lived each day of His life in submission to the leading and guiding of the Holy Spirit. His life exemplified the only way a man can live a life that’s pleasing to God.